The view of the Sassi is like postcards. And with the light of summer, the shadow game charms for hours. Pietro Laureano dominates the Barisano from his studio-bunker colored by beautiful Middle Eastern carpets. The rocky civilization is in front of it, majestic. The gaze is directed to those rock and tuff walls that have written the prehistory. And the story. But the mind is a thousand miles. The Algerian palm trees of Timimoun, Shibam, New York, Yemen’s sands, its magical gardens of Bir el Azab, the sixteenth-century Pozzo dei Scapoli overlooking Sana’a’s hinterland, the embroidered rocks of Petra, Utero “Jordan of so many civilizations, and remarkably resembling the cave grottoes. What jokes does history. Matera like Petra. Matera like the green sand island islands. It’s late afternoon, tea time. He, Laureate, Lawrence of Arabia of the Two thousand, pours it three times into the small cup. How do Tuareg do. The first tea must be as strong and bitter as life, and it is for the guests. The second, for all, is sweet and aromatic like love. The third, poured before going away, is as light as death. Years teaching at the Ecole polytechnique of architecture and urbanism at the University of Algiers – and scrutinizing between forgotten libraries of God, between historical memories as far as a continent, between dinners and banquets at the court of Hussein. Condensation produced by the strong day and night excursion. And there, in the Sahara, the oases are as old as the Neolithic man. The more the environment became inert, the more man digging. Hence the idea of ​​building an oasis. When Laurean put this theory on the table of the Mammas of the culture, he dragged on their anger. In the end everyone gave credit to Indiana Jones who came from the Sassi. To the devil the legends, in the attic the theories of geographers of the century. The oracle is of the millennial poet Amadi: “Truth is hidden under the sands,” he wrote, “because whoever discovers it will be believed a madman with a sun burned mind.” Today, the desert Bible is Sahara, an unknown garden that Laureano published in 1988 for the Types of Joints. A journey told and documented with symbols, myths, technologies and cultures, and that will end up giving more than a few ideas to the screenwriters of The Tea in the Desert of Bertolucci, drawn from the beautiful novel by Paul Boweles. If Boweles inspires for the adventurous dimension in which the protagonists are projected. Laureates is inspired by the places he speaks. The first film set in the desert that “reveals” the desert comes out. But it is not the cinematic fortune to raise quotes from the UNESCO urbanist named Tunis in Damascus to restore neighborhoods, oases, gardens, caves, in the name of a rewrite story, a civilization to resuscitate, to subtract the logic Of wild cement: Tipasa in Algeria, Sana’a in Yemen, Massawa in Eritrea, Petra in Jordan, Timimoun in the Sahara. Projects for the Third Millennium, funded by international cooperation, but above all set on respect for cultures, on the enhancement of local specificities and resources. And so, I rediscover the old tunnels redeemed by channeling water into a lake, ready to be exploited for the dough needed to erect, with raw earth, fenced garden and orchard houses. The belief that welfare is possible only in the unlimited growth and economic growth generated by the competition itself. But this vision, now that biology has shown that organisms survive through the dysmenorrheal processes and alliance, is completely overturned. Complex species have evolved not destroying each other but combining their respective characters. Species do not evolve but coevolve. Communities have learned to combine resources and hunger for good use, to equip themselves for the long term. And oases are the proof of all this. At the dawn of the third millennium, then, when the whole planetary ecology is threatened by unbalanced development, the guiding conception to help the “Earth oasis” is that of intemational cooperation based on symbiosis and the alliance. Words? Sara. And the time of the third tea, that before going away, light as death. Indiana Jones pays him with the hope of returning quickly to the sandy, four-wheeled “hut” that has led him around the world in search of lost civilizations. Of the rivers with a riverbed system, and they squatted the floodplains, which had to follow a cyclical course, into underground canals. So valuable water resources were accumulated and catastrophic floods avoided. Of the Middle Ages, it emerges that at Matera’s origins there is a seminomade, agropastoral civilization capable of condensing the necessary water in large underground tanks, of storing snow and ice in order to make real cold stores, constructing terraces And hanging gardens for the cultivation of medicinal herbs and herbs. To pull short, from the cave to the built house, from the pastoral enclosure to the tuff quarry to the urban neighborhood, Matera provides an explanation for the evolution of the architectural and urban types of our entire history. 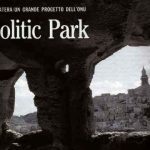 Icomos (the International Council of Monuments and Sites, an Unesco body) who came to Matera’s “mission of control” have already given the first sign up. A few days ago Icomos approved. But the last word will only take place at the end of the World Heritage Year, when Colombia’s UNESCO World Summit will meet. Everyone thinks that the big hit will be put to the mark. Of course, for a city-periphery that points to the relocation card for tourism, it’s not too small to be included among 350 UNESCO World Heritage jewels. In Italy, in the “list of privileged” there are only the historic center of Rome, San Gimignano (Siena), the rock patterns of Val Camonica and Leonardo’s “Last Supper”, kept in Santa Maria delle Grazie in Milan. The finish line is on the horizon. Getting to you is not impossible unless Paris (UNESCO headquarters) is certain that Matera deserves. But does it really deserve a city that since it has been one hundred billion for the valorisation of ancient quarters has done little more than opening yards, organizing river conventions and creating snooping offices? Risk of jumping. And Laureano now thinks of a Committee. 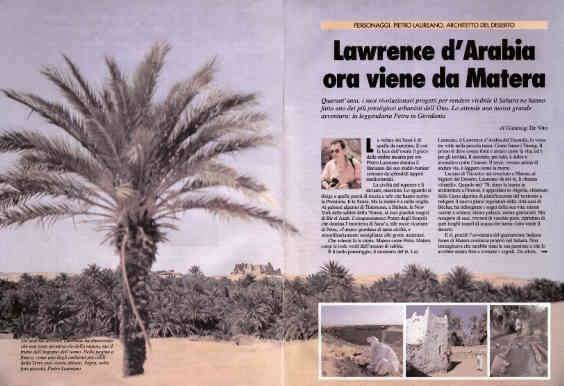 But for him, Lawrence d’Arabia of Tricarico, the greatest joy remains to see Matera beat the Unesco flag.